A release of lien form acts as the legal document that is issued by the lender or seller to anyone interested in his goods. The release of lien form is given only after the realization of the final payment, thus marking the end of a successful deal. The Sample Lien Release Forms can be applicable for all kinds of goods and services ranging from sub-contracts to auto lien. Further, several other special lien forms suit specific purposes in the legal documentation of payment. Applicable to any federal arrangement that involves the release of your property against the payment of dues, this form acts as a legal document marking the status to the deal. The form includes the details of the taxpayer, the information about the applicant, the details of the new owner, the details of the representative/attorney, lending, and finance institution details, the description of the property and other applicable information. 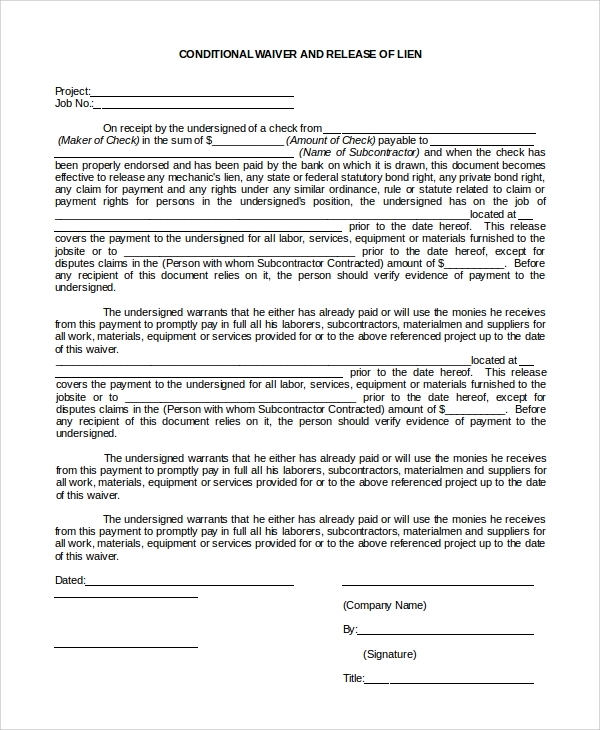 This will be an ideal lien for any subcontractor taking up a project. 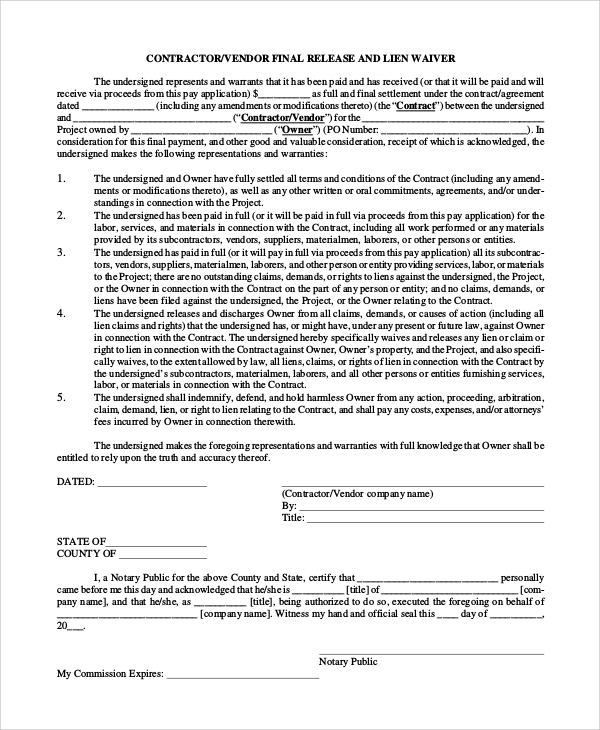 The lien letter states that the subcontractor has agreed to an individual construction project to be worked upon for a given period and under a particular financial arrangement. The letter also states the details of laborers, liabilities, and payment. 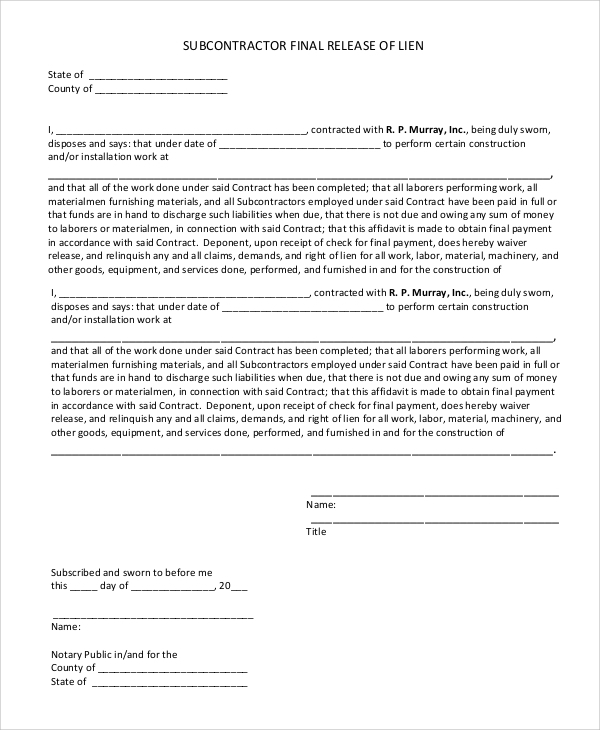 This specific form template is applicable for the final release or a lien waiver by a contractor or vendor. The form contains the details of the arrangement along with the information about the contractor. Further, all the guidelines and rules of the contract are clearly stated in the document, making it a legally binding arrangement. Who Needs a Lien Release Form? A lien release form is required for anyone who is entering an agreement that involves the use of physical assets as a security against payment. This will apply to anything, ranging from vehicles to property and even small projects and contracts. The lien release form makes the arrangement official and makes it a secure agreement. You can also see the Sample Release of Information Forms. If a contractual agreement involves any types of waiver, the details have to be legally binding using a form that is undersigned by both parties. 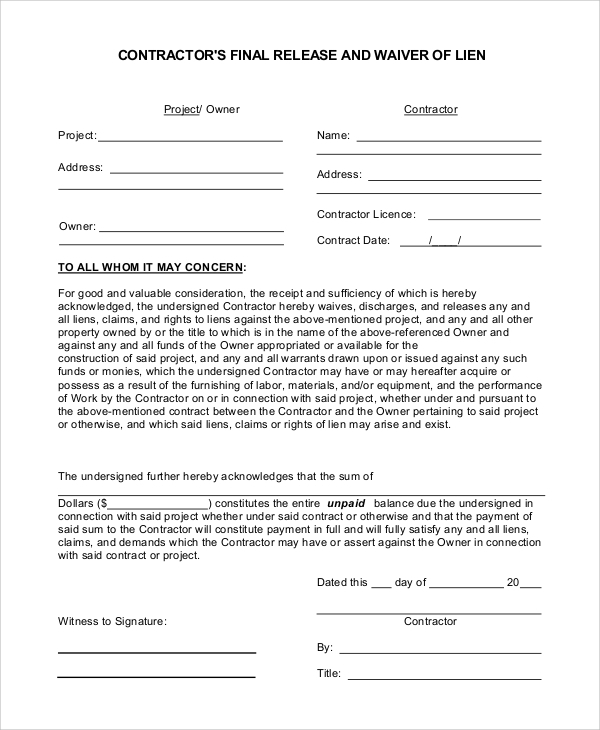 This particular form allows for the details of the project/owner, the contractor and a letter stating the waiver agreed upon. The document becomes admissible at court once signed. 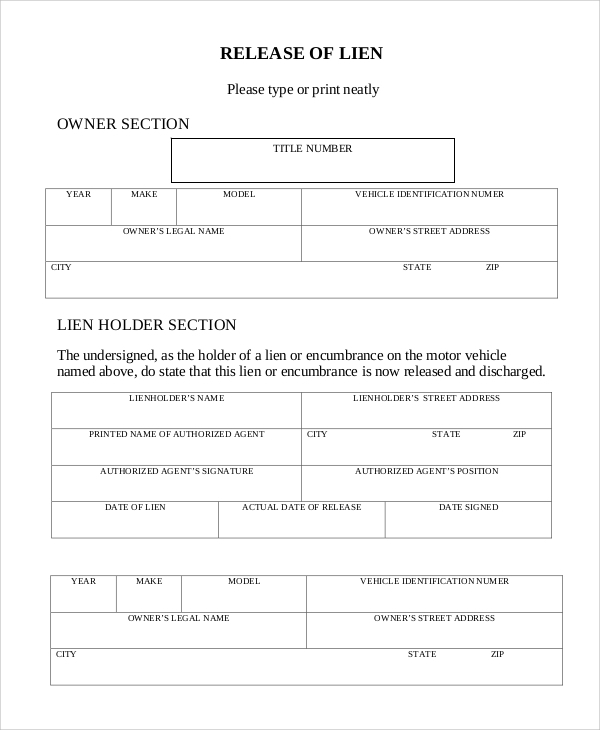 This lien release form applies to all motor liens. The document allows for the details of the vehicle, the identification numbers for the owner and the lien holders details. The form is applicable for most vehicle lien contracts done in the US and it is a common form to download. How to Choose the Appropriate Lien Release Form? Now, this is a very complicated question. If you have little experience in the matter, it will always be advisable to talk to an expert and take suggestions. 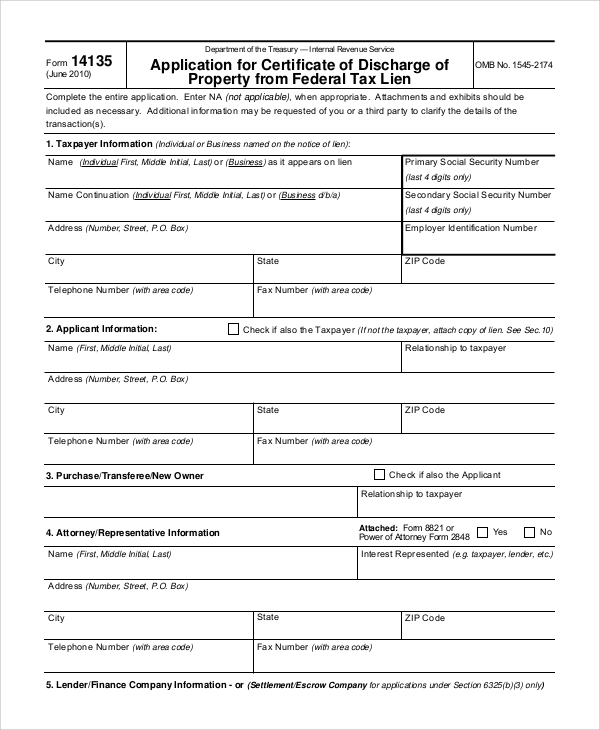 The lien release form you choose must be able to highlight everything about your particular arrangement. You can also see the Sample Liability Release Forms. 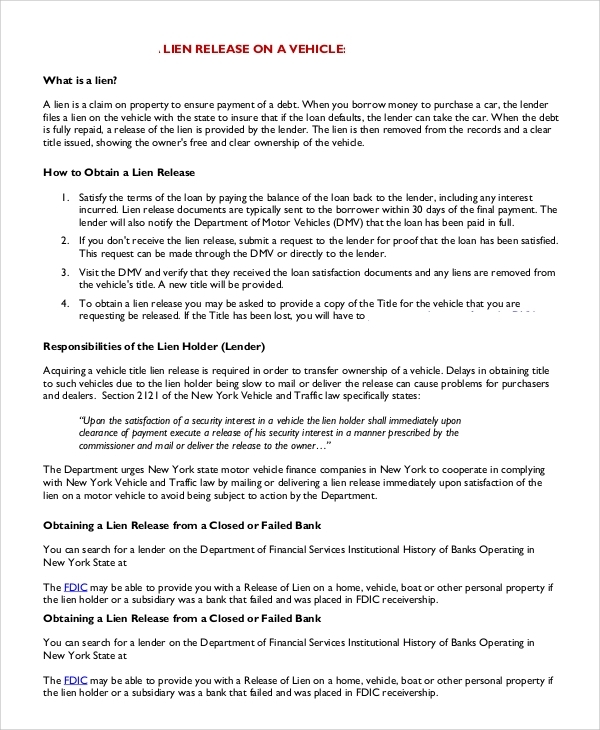 All the above Lien Release Forms are available as PDF documents and are approved by the US courts. Use them to make your contract legally binding.